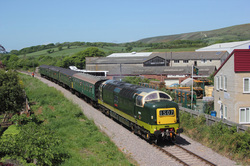 Has can be seen ,the station in sun yet Cambell road bridge is not,yet if D9009 "Aliycon" was on time ,probably in the bag,but for some unknown reason 1Z45 04.31 Burton On Trent to Swanage was held at Worting jCT ,causing the lateness. 55009 "Alycidon"1S07,11.50 Norden to Swanage nearing its destination. 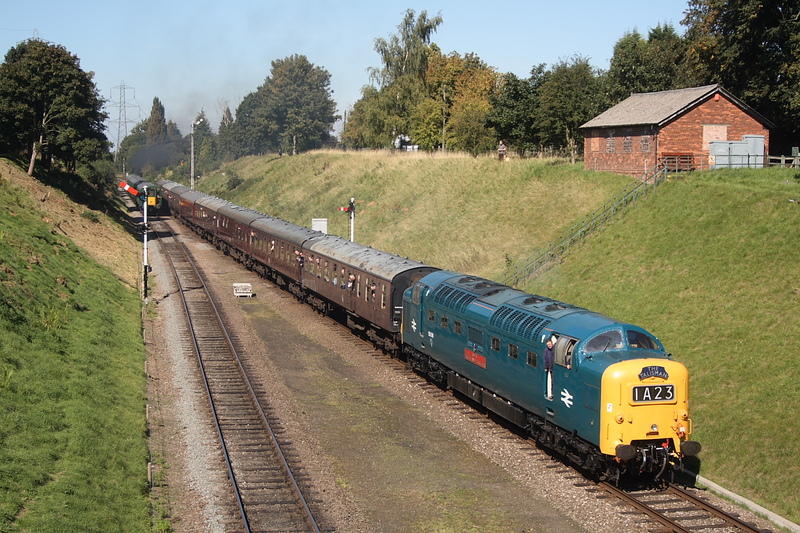 12/09/09 Great Central Railway's Autumn Diesel Gala,Rothley. 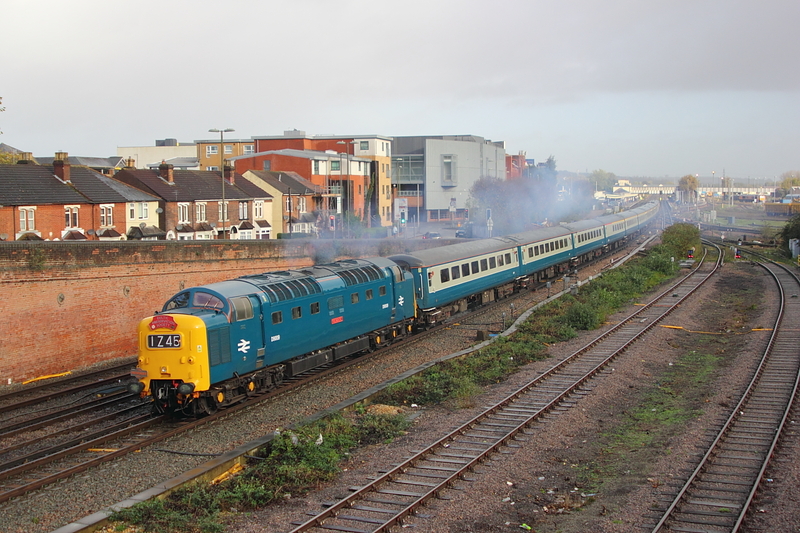 D9019"Royal Highland Fusilier"1A23..13.00 Loughborough to Leicester North. 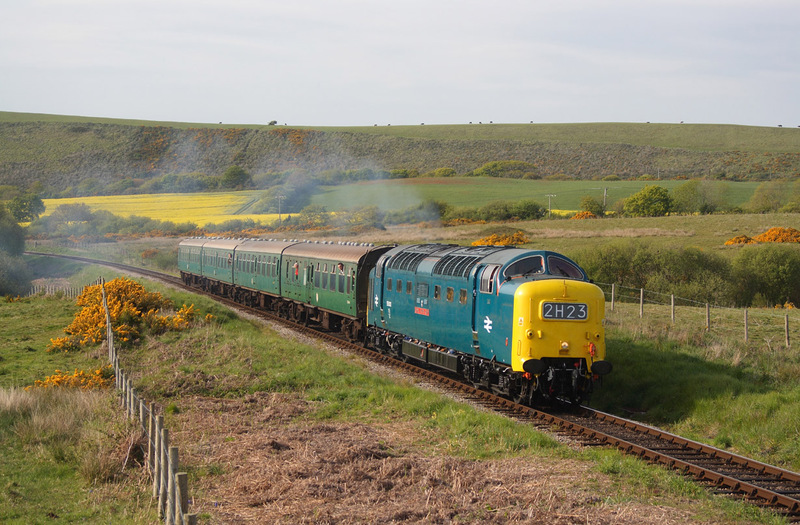 55022"Royal Scots Grey"passes through the common at Corfe,Town End on the 17.10 Norden to Swanage service.